Author JoAnne Myers is haunted by story ideas. She shares with The Write Way Café where she finds inspiration for her paranormal stories. When it comes to fiction writing, almost anything goes. That is why I love writing paranormal stories. The author can go completely over the edge and make something unbelievable seem believable. When it comes to ghost stories, I get a lot of my inspiration from real life experiences. Not necessarily my own either. I watch television programs that partake of the supernatural and paranormal flare. Programs from ordinary people who claim they experienced either an afterlife experience or a haunting. Some of my stories from my upcoming release “Wicked Intentions” are based on actual hauntings. Some stories I read about in the newspaper, and others I watched on true life experience programs. 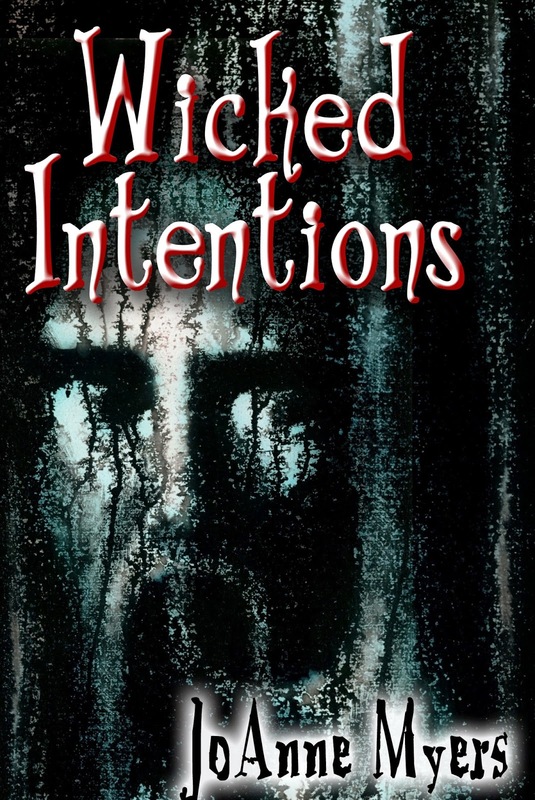 Some of the stories from my paranormal anthology, “Wicked Intentions” are based on actual hauntings. In The Legend of Lake Manor, I placed my young psychic, Cassandra Lopez, in a haunted mansion I fashioned from my knowledge of a three-story mansion in my hometown, and information from television about a restaurant/bar in Ohio, supposedly ruled by demons so violent that the local police are constantly closing it down. On the Discovery Channel, I got the idea for Summer Wind. I learned of the colonial explorer Jonathon Carver who lived during the 1700s and whose ghost is believed to be haunting the Summerwind estate, built in the early 20th century. Carver’s ghost is, supposedly, searching the house’s foundations for deeds to a vast tract of land (10,000 square miles) given to him by Sioux Indian chiefs as a reward for the peace treaty he created between two warring tribes. In my Summer Wind, 29-year-old Ginger is mysteriously drawn to the old mansion, and like the many owners of the real mansion, Ginger and her family suffer a negative and profound profound effect. I set my murder mystery, The Truth Behind the Lies, on Norfolk Island after following a three year long murder investigation on that island from 2003. In my story, Federal Police Inspector Ian Christian faces attacks, more murders, and ghostly occurrences, and the killer is closer than anyone realizes. So, the next time you get Writer’s Block, or need a new idea, try switching on the television, opening a newspaper, delving into history, or simply looking and listening. You will find something to stimulate your muse. 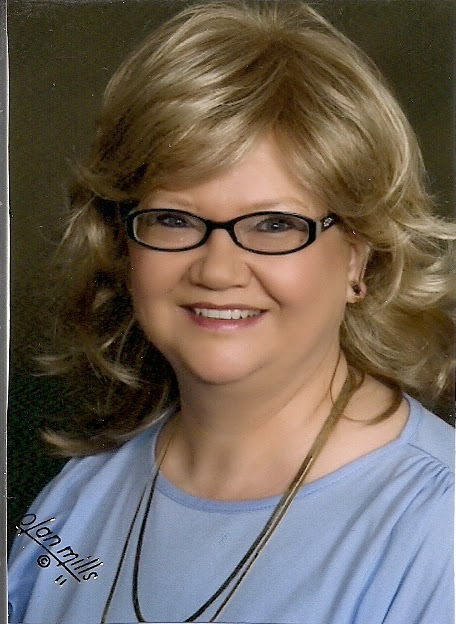 JoAnne has been a long-time resident of southeastern Ohio and worked in the blue-collar industry most of her life. Besides having several novels under her belt, she canvas paints. Thanks for being with us today, JoAnne. It's fun to hear where authors get their ideas and how they pull them together. I love paranormal. I haven't been brave enough to try it as of yet and am profoundly impressed. Love the cover! Thank you HiDee for allowing me this opportunity. I really appreciate it. Hi RT, thank you for stopping by and commenting. Your comments were very kind. You have so many novels out. I am not brave enough to try paranormal either. I think it would be a very hard genre to write in. Thank you Margaret for stopping in and commenting. This story came to me so easily. I am glad I wrote it. What I find hard is non-fiction true crime. You really have to get your facts straight on those genre's. The best to you. I like that about paranormal writing, too, JoAnne. You can make your own world, your own social order--everything. Of course, the trick is, you have to be convincing. If it is unbelievable, well, readers will be disappointed. I hope I read this right. You've been to places that are supposedly haunted? Do you believe in ghosts? Have you ever had an experience with a ghost? I love ghost stories, even though I'm a skeptic. I think it's so interesting that you followed a real murder case in order to write one. Research really pays off, doesn't it? I agree with you, news and newspapers are full of unique and interesting ideas for stories. All the best to you, JoAnne. Thank you for your comments Sarah. I dont believe in ghosts, but I believe in evil spirits. If one believes in God, one myst believe in Satan also. There is always good and evil. Thank you all for stopping in.